A prominent hedge fund manager on Wall Street who tried to draft Republican New Jersey Gov. 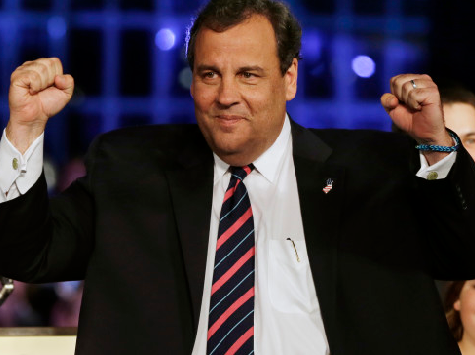 Chris Christie to run for president in 2012 said that he believed Christie was a “once-in-a-generation” leader. The statement was made in response to the traffic scandal which has seen Christie oust two of his top aides for ordering lanes to be closed on the George Washington Bridge last year, nearly crippling the town of Fort Lee. Christie’s favorability rating dropped eight points in the wake of the scandal, while 56% of New Jersey residents want Christie to resign if he knew about the lane closings. At a two hour press conference on Thursday, Christie announced that he had fired the two aides responsible for the closings and found out about the news reports regarding their emails on his iPad after he was done working out with his trainer on Wednesday. Before the 2012 elections, Druckenmiller, along with other top fundraisers Ken Langone, the Home Depot co-founder who has been described as Christie’s “most fervent adviser,” and Paul Singer, an advocate of immigration reform, were a part of the so-called “Draft Christie” movement on Wall Street.